Sketchedspace is pleased to present the first American solo exhibition of Nigerian moving image artist Akinola Davies Jr. at Dupont Underground, Washington D.C. Titled after Davies’s premiering body of work specifically produced for this show, HOD creates a narrative of reclamation through displaced African artifacts in Western Europe and the impact their radiant energies have both on the spaces they have been removed from as well as the spaces they now inhabit. Taking one of many unresolved, destructive legacies of Colonialism as a starting point, the exhibition will reinforce the necessity of creating and adding to global inclusive Black mythology and reflect the intersection of cultural collision by paying homage to our shared histories as an engine to discuss our present and future. Through his work, Davies has explored themes of race, identity, gender and inclusion, telling the stories that bridge the gap between traditional and millennial communities. HOD will continue to realize this mission and share his voice with D.C. community and beyond. Akinola Davies Jr. (Nigerian, b. 1985) is a moving images artist living and working in London. His practices center around the foundation of community and inclusivity, establishing a necessity for clear intent in concepts whilst experimenting with form. His previous exhibitions include a solo show at 1.1, Basel, Switzerland and the screening of Boot/leg at London’s East End Film Festival. In addition to directing music videos for many artists, including Dev Hynes (a.k.a. Blood Orange)’s Charcoal Baby, Davies has represented Nigerian youth in fashion film through his recent collaboration with Kenzo. He has produced work for the Victoria and Albert Museum, NTS as well as led initiatives with the Tate Modern, Ace Hotel, The Barbican Centre and the Design Museum and been profiled by leading publications such as Vogue and i-D Magazine. 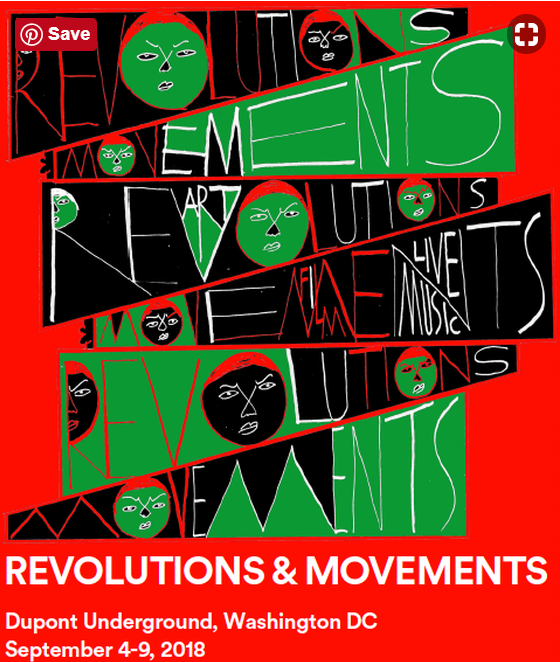 Davies is also the founder Nigerian Lives Matter, a grassroots organization which looks to bring international attention and created awareness of the political landscape in Northern Nigeria. 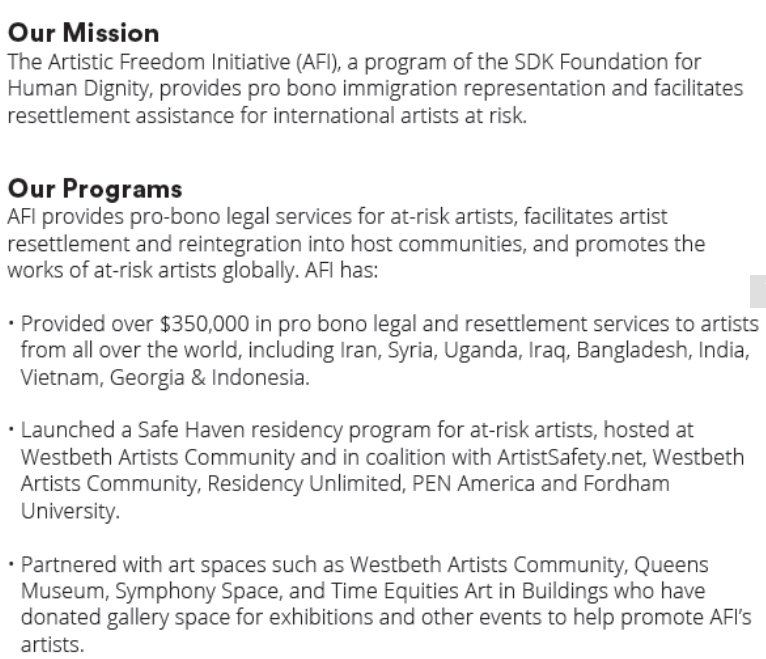 Sketchedspace is a global art company based in Seoul. Founded in 2017 with the vision to create artful experiences that pioneer new generation of creative landscape, the company collaborates with boundary-breaking artists, creatives, and thought leaders to actualize their narratives. Re-Ball! was an open design competition that asked entrants to repurpose 650,000 plastic balls, from the National Building Museum’s 2015 Beach installation by Snarkitecture, using the balls to create an installation in a portion of the Dupont Underground’s 75,000ft2 platforms and tunnels. In March 2016, Dupont Underground gathered a jury of internationally recognized artists, designers and curators to chose a winning proposal from ninety-three entries representing nineteen different nations. New York-based design studio Hou de Sousa took the honors. Their proposal, Raise/Raze, was based on a single simple move: create uniform, modular blocks from the balls, and use these blocks to build structures and environments that the visitor could interact with and alter as they desired. Raise/Raze was executed on a limited budget, in a limited time frame. It transformed the chaos of the Beach’s giant ball pit into the structured play of a sandbox. Most importantly, Raise/Raze also gave Dupont Underground multiple opportunities to engage its community and its audience, and refine its mission and identity. Over 1400 volunteers passed through the Dupont Underground over the course of six weeks to help build Raise/Raze. The installation opened April 30th, 2016, and sold out its entire one month run in two days. 04.30.2016: THANKS TO MATTERPORT FOR THIS AMAZING 3D WALK-THROUGH OF RAISE/RAZE. 04.22.2016: DUPONT UNDERGROUND ON THE KOJO NNAMDI BLOG. Sometimes the most mundane of objects make for the most dynamic materials. Dupont Underground’s newest exhibit, MAKE IT WORK, explores how an abandoned space and the raw industrial materials found in such a space can be reinvented into contemporary art. Each artist created their installation as a reflection of an architectural feature of Dupont Underground. From wire sculptures dancing between the remnants of Raise/Raze, to a light tunnel defying depth perception, to a tunnel within a tunnel, to canvases of mixed media conversing with the haunting remains of the underground food court, MAKE IT WORK encourages viewers to reconsider the the purpose of space, structure, and time. Curated by David Ross. Graffiti culture has always existed in the marginalized and forgotten spaces of our community. From the railroad tracks that mirror our transit system, to the underpasses of bridges, and back alleys of our neighborhoods. 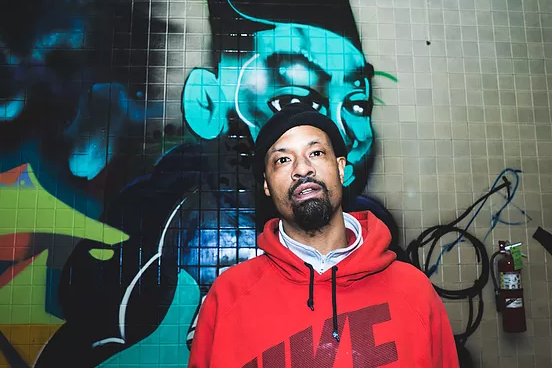 For more than three decades, Washington DC has played host to a thriving community of graffiti writers who have redefined public perception of graffiti through large scale installations and public arts projects. The Dupont Underground space has always been an area of interest to the graffiti community, and has a history of street art making its mark along its tunnels and entrances. 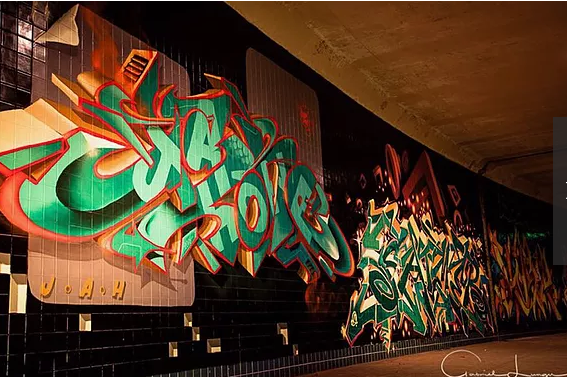 Dupont Underground is proud to present this collection of original graffiti works, representing six generations of local graffiti artists: a collection of signatures and illustrations, which inextricably connect the tunnels and the graffiti community. Curated by David Ross and Corey Stowers. 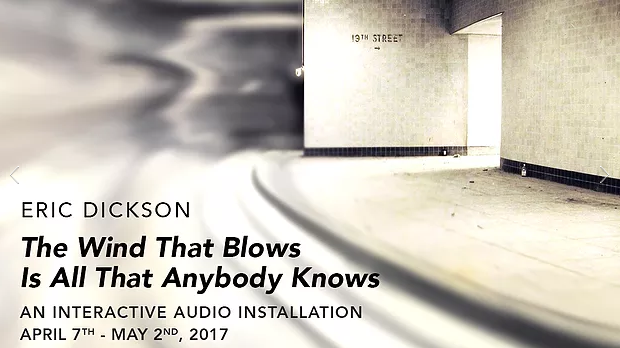 The Wind That Blows Is All That Anybody Knows is a site-specific, interactive audio installation, focusing on themes of arrival, departure, and abandonment in the context of America’s current political moment. Specifically created for Dupont Underground, the installation presents a number of recorded fictional monologues in different voices. These stories, encompassing platform romance, chance meetings with strangers, sudden tragedies, and surprising transformations, offer echoes of the space’s history as a once-thriving trolley station. Each monologue, taken on its own, is a self-contained, site-specific story that could have happened at the exact location where it is installed. But the monologues also intersect ambiguously with one another, and, taken collectively, hint at a larger, uncertain story about a society on the verge of collapse through a breakdown of social trust, the transgression of common rules, and an inexorably mounting fear of the other. The installation recordings, dispersed along more than 150 yards of the abandoned trolley station, are presented in a layered sonic environment; some voices emerge from prominently mounted speakers while others may be little more than whispers emerging from cracks in the wall. The installation is presented in a non-linear way with no set order among the stories, encouraging visitor exploration of the trolley station. The project comprises “at least ten” audio installation sites within the tunnel; given the subtlety of some of the audio interventions, and their undisclosed number, visitors can never be certain that they have encountered all of the recordings, heightening the sense of uncertainty about the ultimate meaning of the larger story. The title, borrowed from the concluding lines of a poem by Thoreau, evokes the limits of what humans come to understand as a result of their activities and striving – and suggests basic commonalities in the human experience, regardless of a person’s station in life. That, in the end, the wind that blows is all that anybody knows highlights how most truths remain elusive, how most things that happen will eventually be forgotten, and how lessons from history seldom remain learned. The presence of wind is a unifying element across a number of the stories, offering an interlocking set of metaphors. But in addition, the sound of wind will be intermittently mixed over many of the narratives, at times partially or even completely obscuring them, in a way that is affected by visitors’ movements through the tunnel as captured by motion detectors. Dupont Underground is proud to exhibit the work of Helene Berg — one of Sweden’s most accomplished visual, motion graphic, animation and performance artists. In addition to her career in the fine arts Ms. Berg has also directed animated Television series, and music videos. She is known for her productions of performance art and live visuals for concerts, dance and theatre performances. 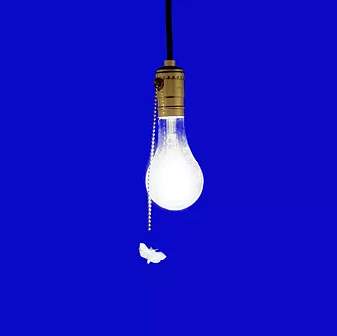 The style of berg’s work ranges from realistic productions, such as the stop motion film “Qoi-the polar bear” to more lyrical and abstract works like “Bohemia.” This is Berg’s first exhibit in the United States. Ms Berg’s fascination for animation started as a child. In later years during her studies at the Royal Academy of Fine Arts in Stockholm, she was introduced to digital software which opened up new possibilities for her work. Ms. Berg often combines analog and digital techniques in her work as you will see in this exhibition. 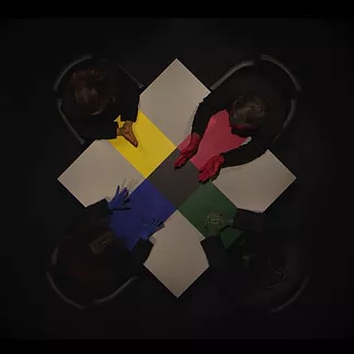 Her motion graphic work often has a strong connection to music. In addition to Berg’s superior audio visual skills, she is also a trained live performer. Berg’s training as a mime actor and puppeteer facilitated her acute awareness for the essence of timing and the utilization of movements to engage and communicate emotions during performances. 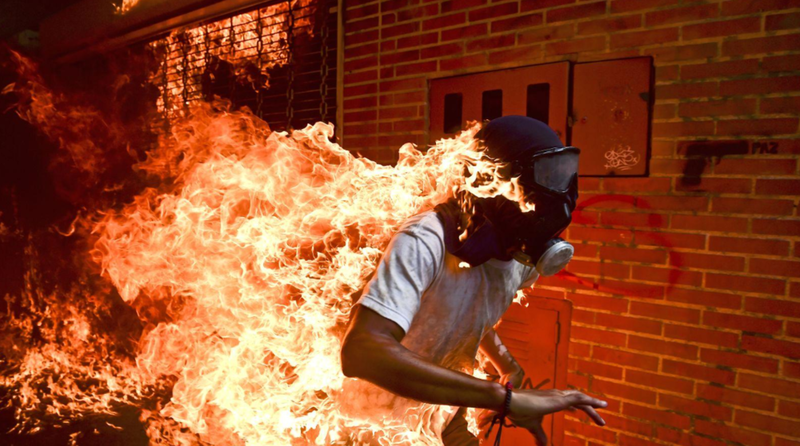 The World Press Photo Exhibition represents the year's best visual journalism. It is seen by 4 million people in 100 cities across the globe, every year. Lightscape brings the exhibition to Washington DC to bring perspective the complex issues confronting us in the daily news cycle. We collaborate with leading think-tanks, universities, embassies, international-, media- and civil society organizations to tell the stories behind the photos to encourage deeper undestanding and debate. The exhibitions covers a broad range of issues from the Rohingya crisis and conflicts in the Middle-East to elephant conservation, from marathons in the Moroccan desert to the impact of climate change, and from the interplay between race and policing to gender identity. This is photojournalism at its best and most thought-provoking. The venue will be the Dupont Underground, an abandoned trolley station beneath Dupont Circle. This massive space will house 22 projectors casting 13' images of the year's most important stories, a wall of large prints of WPP prize-winning photographs and a retrospective of 61 years of Photos of the Year. There will be side-exhibitions by the International Women's Media Foundation and we will honor the work of AFP photojournalist Shah Marai, who lost his life in Afghanistan earlier this year. Partner events will be held at partner venues throughout the city. We hope to see you at the Underground! Perhaps no word better characterizes Brian Dailey than polytropos, the term Homer used to describe Odysseus in the Odyssey. Translated from the Greek as well traveled and, in a more metaphorical sense, as the man of many twists and turns, polytropos suitably describes Dailey’s life journey and its many peregrinations. Indeed, intriguing travel adventures during his early art career in Los Angeles in the 1970s launched him on a path of many surprising twists and turns. His unusual experiences, which he approached with the same curiosity that has driven his art in diverse media, continue to provide a fertile source of inspiration in his unconventional creative practice. This exhibition brings together a cross-section of Dailey’s recent work in digital media encapsulating the remarkable odyssey of the artist’s life and the avenues he has explored. 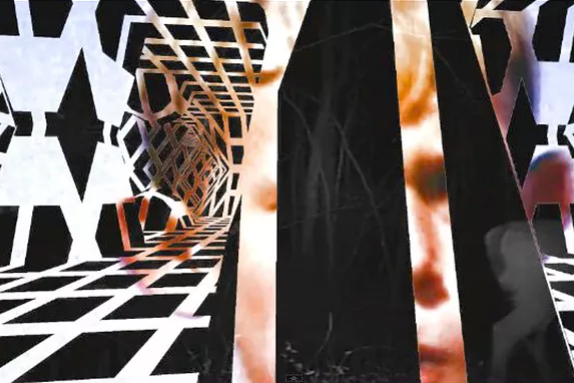 Featured in An Odyssey: Brian Dailey Digital Work are the artist’s videos ranging from the meditative to the kaleidoscopic, silent to cacophonous. Jikai (2013) is a hypnotic and metaphorical rumination on political disintegration dedicated to the Japanese filmmaker Akuri Kurosawa, which was featured in New York on multiple screens for the Times Square Art Alliance’s Midnight Moment in February 2015. Equally meditative, Quietus (2017) is an intensely moving tribute to personal loss accentuated by the haunting sounds of Tibetan singing bowls. Video productions America in Color (2014) and Bulgaria in Democracy (2015), color-coded montages assembled from the artist’s extensive travels, engage with issues of democracy, political diversity, and personal identity. Several works in the exhibition, such as the boisterous and politically prescient video Polemos (2012), will be on public display for the first time. Also on exhibition will be a maze of selected pieces from his illusory digital composite series, Impressions of Africa Redux (2014), a project reflecting the artist’s more fanciful side. Mounted on Plexiglass and dramatically backlit, the five-foot tall hybrid images of flora, fauna, and celestial phantasm have a surreal cinematic and three-dimensional quality. They are complemented by selections from Dailey’s digital montage series, Tableaux Vivant. These paradoxical images existing between the worlds of reality and fantasy give new currency to the historical genre of the tableau vivant (scenes from life). The transformed subterranean space and multidisciplinary platform of Dupont Underground provide an ideal venue for featuring Dailey’s unconventional creative practice. In conjunction with this exhibition, the artist will be giving a talk with a preview of his current global video project Words, which will be premiering in its full-scale towering installation at the Katzen Arts Center in January 2018. Hindsight is an exhibition of video works created by artist Tim McLoraine. The stories being told contain a density that, through their archetypal vocabulary, aim to construct a bridge to meet the viewer in their own personal history. Emotionality and revelation are important in both the content and the structure of these pieces. Themes of pilgrimage, connection and isolation, and discovery appear at times meditative, stark, or humorous. This body of work is constructed mainly from the material of appropriated and ‘poor’ images taken from sources that range from old home movies to pop culture iconography. 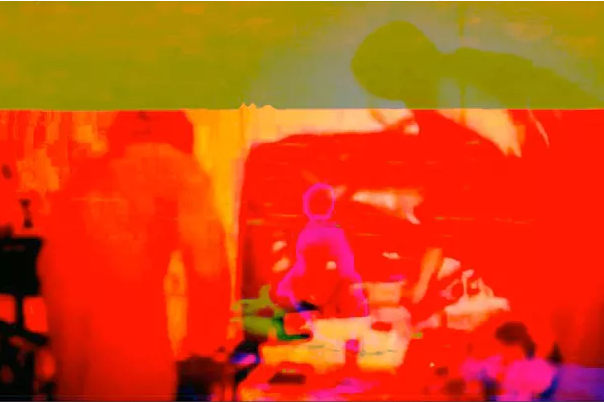 Through layered video and over-saturated colors, the pieces in this show have a richness and depth both visually and in their implied narratives. Aesthetically, this work looks more toward painting than digital art. While the pervasive visibility of the pixel embraces the data driven materials from which they are constructed, the work searches for an analogue physicality and a connectivity with our corporeal form. Tim McLoraine creates video art for live performance and installations. Notable productions include Cunning Little Vixen at Lincoln Center, Orphic Moments at National Sawdust, The Body of an American at Theater J, and Kurt Weill’s Rise and Fall of the City of Mahagonny at the Tanglewood Music Center. His concert based video works include Bartok’s Miraculous Mandarin with the Columbus Symphony, Stravinsky's Persephone for the American Symphony Orchestra, and a collaboration with the Capital City Symphony for the Atlas Theatre’s Intersections Festival. Tim’s experimental films have been chosen for video and public art festivals, and his installations have appeared in solo and group exhibition. His work explores the density of digital information, the complexity of personal narrative, and their intersection. Layering both video and narrative, Tim endeavors to paint with the medium of the pixel. His artistic alter-ego, VJ Bjørn, can occasionally be found throwing video art dance parties around the DC region.